We can now offer bookings directly online. Please note we have included a how to make an appointment page. We recommend that you read it first before making an appointment. You can read it here. Otherwise you can make an appointment right now with the online booking manager below. If you need assistance with a booking you can call us on 0416 162 881 and we will help you make and appointment. Assessment, diagnosis and treatment. Treatments may include acupuncture, cupping and massage. Individual treatment of Cupping (20 minute), Reflexology (20 minute), or Ear Candling (Approx 20 minute). 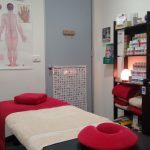 Special price massage deal: Acuharmony book online price or with a voucher. 1 hour treatment. Acuharmony booking online price or with a voucher. Special price massage deal with cupping: 1 hour and 20 minute treatment. Acuharmony booking online price or with a voucher. Special price massage deal with reflexology: 1 hour and 20 minute treatment.